In my post yesterday I provided complete explanations of Games 1 and 2 from the recently-released June 2017 LSAT, and today I’ll complete the section by deconstructing Games 3 and 4. 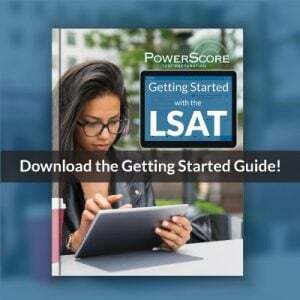 If you missed the first article in this set however I encourage you to give it a read before proceeding here, as I also provided an overview of the section and, in particular, what it meant for the test’s scoring scale. 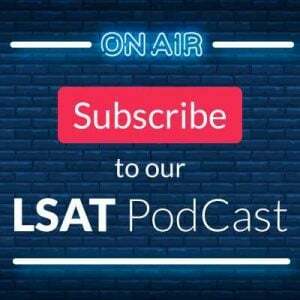 As before, I’ll outline exactly how to attack each game below, and then provide a direct link to the interactive question explanations on our LSAT Discussion Forum. After two very reasonable, Linear-centric games (an Advanced and a Basic), we find ourselves faced with even more: another Basic Linear! At this point the closest thing we’ve seen to a group this whole section was the photo essays being assigned themes in Game 1…a conspicuous and unusual absence, but if you’re a Linear fan nothing to be sad about. Game 3 has six obstacles—which I’ll abbreviate as R, S, T, V, W, and Z—being ordered into a sequence of six positions, 1-6. So not only is this more Basic Linear, but like Game 2 it’s a perfectly-balanced, 1:1 distribution. We’re on the LSAT bunny slopes here. W is “just before” Z, which is a WZ block. That’s an odd phrasing, “just before,” but all it means is that they’re consecutive. This block creates some immediate Not Laws: W not 6, Z not 1. When combined with the first rule about S it also creates two more Not Laws: the WZ block can’t take both of S’s spots, meaning W cannot be 3, and Z cannot be 4 (interestingly this never gets tested directly in this game, but it’s always a good idea to recognize how a variable that requires a position or two, like S here, affects a block that’s sliding around, like WZ). R and V are not consecutive, in either order. A double-not block, with RV and VR. This doesn’t tell us anything just yet, but it does mean we’ll need to be sure we leave room for these two to separate (allowing at least one thing to get between them). It’s not a rule, but I’d also note that T is our lone floater. This is the point in the game where I’d check the clock and likely make the prudent decision to dive into the questions, knowing full well that another inference or two might still be possible (there may be more to show in our currently-spartan diagram, but blindly searching for potential, non-obvious inferences at this stage is wasteful). It just so happens, in fact, that there IS another nice inference in the form of a variable (T) restriction, but it would be rather remarkable for you to have noticed it up front. Fortunately, and is very often the case when it comes to obscure but universal truths in LG, a question eventually reveals it to you: question 14 asks you to list all of the places T could go, meaning that’s a variable to look more closely at to see if you can find an issue. Would you have known to suspect T of causing problems in your setup? No way! But now we should be suspicious. And sure enough, what you find is that if T is in 3 or 4, it forces S into the other spot (4 or 3), and that creates two regions of open space—spots 1 and 2, and spots 5 and 6—thereby creating two blocks from the remaining variables: the WZ block from the second rule which now goes in either 1-2 or 5-6, and an RV/VR block in the other open two-spot space. Of course R and V in a block breaks the rule that they can’t touch, so there’s your T-issue: T cannot be in 3 or 4! Put another way, what would force R and V into a block and thus cause problems? Well we already have a WZ block, so if S and T are ALSO a block in the very middle then our six variables would be in three pairs: WZ (always), S and T, and R and V (bad). So we can never allow S and T to form a center block themselves, meaning T cannot be next to S by going in 3 or 4. So while I’d be deep into the questions at this point, hammering away and luxuriating in my saved time, another (admittedly far-fetched) option does exist: Templates. Yes, as we saw in the first two games, the possibility to create Templates is present here! They’re less apparent, and as we’ll see from the sheer number we need to make less tempting (hopefully) than in Games 1 and 2, but since we can do it I’ll list them out for anyone who’s curious. First though, what alerts me to the possibility? A few things, turns out. One, and most immediately, is that S in either 3 or 4 creates two paths, and along those paths the WZ block could potentially be quite restricted. For instance, I can see clearly that if S is 3 and WZ goes 1-2, the final three spots 4-6 have to be R, T, V (with R and V split up, in some order, separated by T in 5). Ditto if S is 4 and WZ are 5-6: R, T, V up front in 1-3, with separation involved (and the R/V order unknown). So in certain instances the Templates look really limited, and thus very attractive! But the key to Templates is that you account for ALL possible outcomes, not just the most restricted or well-determined ones, so we’d also need to think about what happens when, say, S is 3 and the WZ block comes after it, somewhere down in 4-6. That’s far less singular of an occurrence, and that wider range of possibilities is what would absolutely dissuade me from the Template approach in this game. So that’s 6 Templates with a total of 20 different solutions. Not the worst thing I’ve ever seen, but almost certainly more than you’d want to commit to up front (especially in a Basic Linear game with only a 5 question reward). Instead what I’d be conscious of is that the placement of S has a big impact on the WZ block, and vice versa, and the need to keep R and V apart requires some careful planning as well. Last thing: because I’m nearly certain I would neither use Templates myself for this game, nor recommend them for others, in explaining the questions I’m not going to refer to Templates or act as though I’d have them handy for solving. Speaking of questions, as with the first two games I don’t want to spoil them for anyone looking to redo things with the setup information I’ve provided above, so I’m not going to go through each question here. 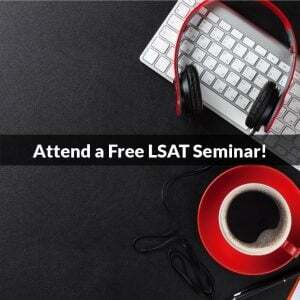 But full question explanations can be found on our LSAT Forum! Go check those out when you get a chance. The fourth game on the June 2017 LSAT is a standard Grouping Game where four product managers—F, G, H, and I—visit three cities—M, S, and T. We’re then told that each manager visits at least one city (we need to use each of F G H I) and each city is visited by two people. So we’ll end up with the three cities, M S T, as the base, with two stacks above each letter to represent that city’s two visitors. The numbers here don’t quite match up, and that deserves our attention straight away: in those six total spaces we need to use all four managers at least once—so that’s four spaces filled—and then figure out how to fill the remaining two “empty” spots. Let’s see if the rules can help us determine which distribution is at work (note: it’s possible at this point that both distributions could be used for this game; narrowing it down to just one though, if we can, would be nice). I visits exactly 2 cities. Well then. Problem solved. It’s the 2-2-1-1 distribution of people to cities, with I as a 2. Knowing how important numbers tend to be for Grouping I’d keep a close eye on the other three variables to see if I can figure out who else is a double and who the two singles are (whether it’s constant, like I, or question to question). And always remember the overall distribution as you go! GM —> HT , and the contrapositive HT —> GM (I showed the cities as subscripts, but it’s entirely up to you—do whatever you want as long as you have the order correct). Lastly, a Not Law for G under the S column. In games with variable sets this small (four people, three cities, two spots on each city…) it’s extremely common to find inferences anywhere you can begin to eliminate options. In short, when you have few options to begin with, and begin to reduce them even further, you often find yourself in situations where things MUST occur! So the first thing I would do is look to my most restricted city, S. We know from the last rule that G cannot go there, so that leaves just F, H, and I available. But we also know that F and H cannot visit the same city as each other…that means at most they could take just one of the two S spots. What that means then is that I must visit S! G can’t, F and H both can’t…I must. Is there more that we could discover if we keep testing hypotheticals or toying with possibilities? Perhaps. But this is the stage where I’d forego all of that and eagerly move to the seven questions. It’s also the final game of the test, so if this is the last game you’re attempting (i.e. you’ve done the other three already), how much time you choose to spend setting it up can be in part determined by how much time you have remaining for the section. Assuming time is tight though, I’d move on. So there you have it, the last two games from the June 2017 LSAT. Neither particularly difficult, although more challenging collectively than the first two. I hope these explanations have helped anyone struggling, and if you’re interested in more we’ll be uploading complete video explanations for all four games to our Forum, as well!